Norman the Nomad: The Rurals "Nettle Soul"
Somewhere between the soothing jazz inflected soul of Sade and the catchy dance rhythms and hooks of Deee-Lite lies the eclectic sounds of the Rurals. This married musical team hailing from the British countryside continues to make some of the most cosmopolitan slices of electronic soul on the market. 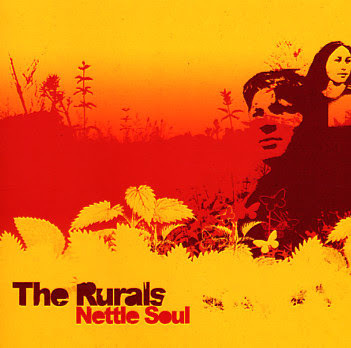 Picking up where their 2005 release A Rural Life left off, Nettle Soul is an even tighter set of downtempo delights and deep house booty shakers. The Rurals switch back and forth between their two styles with ease. Where many artists will shine on the uptempo tracks only, Andy and Marie are equally skilled in both arenas. The mellow saxophone fronted “Get It Right” is a beautiful track that floats by on an ethereal cloud of bass and lush instrumentation. 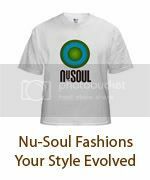 Vocalist Marie can coo with the best neo-soul diva and her remarkably restrained performance on this track is among her best. Alternately, the house track “Up To You” is all sing-along verses, deep bass, and funky percussion recalling the days of Lady Miss Kier. Musically, the album is a perfect blend of live elements and electronic effects, but the live aspect definitely jumps out. From wailing sax solos to rapid-fire percussion this is music that will appeal to jazz lovers, yet there is just the right amount of kick to keep things dance-able. The album ends with two remix tracks from A Rural Life that fit in rather well with what has come before. This is the sort of CD that can be played for a variety of occasions and will appeal to a multitude of listeners. If you are anxious during your wait for the next Sade album to appear, the Rurals’ Nettle Soul should be able to fill the void.